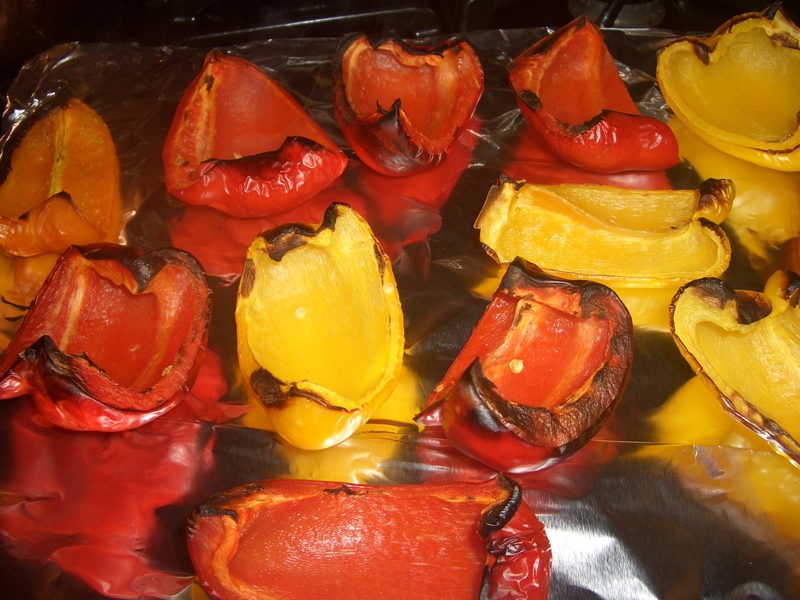 There’s nothing like homemade roasted peppers for making tasty sauces, dips, for antipasto or toppings for bruschetta, in salads or on sandwiches. 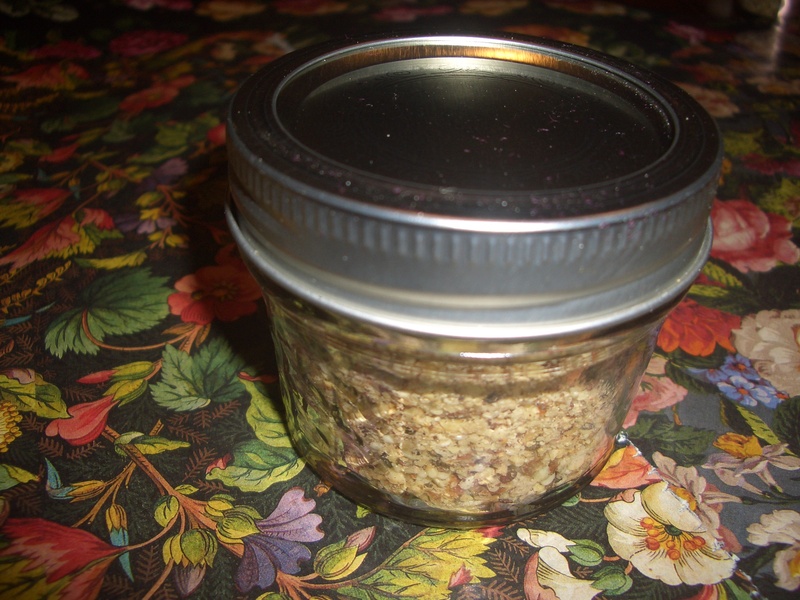 The ones you buy in jars pale in comparison to homemade; and they are so easy to do. 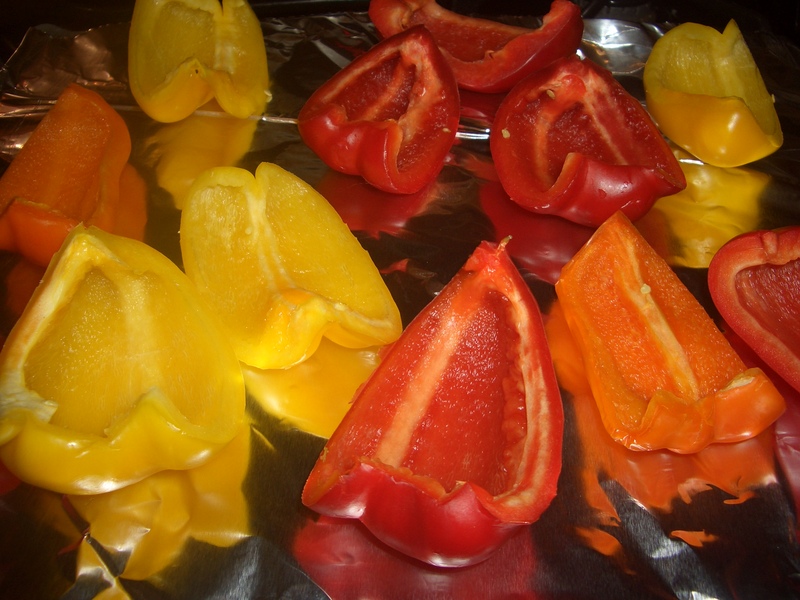 Although you can roast green or purple peppers, it is more common to use red, orange or yellow pepper because they have a lovely sweetness once they are cooked. 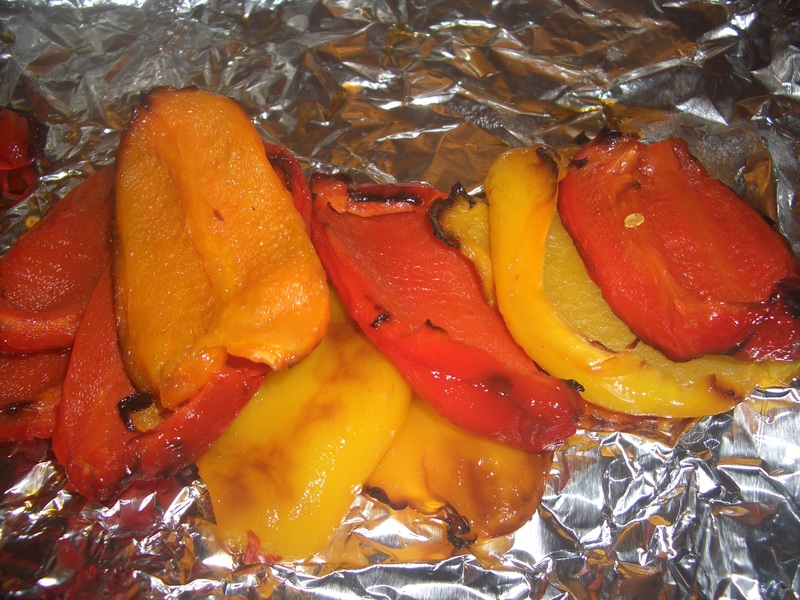 You can roast peppers on a grill as well as under the broiler. 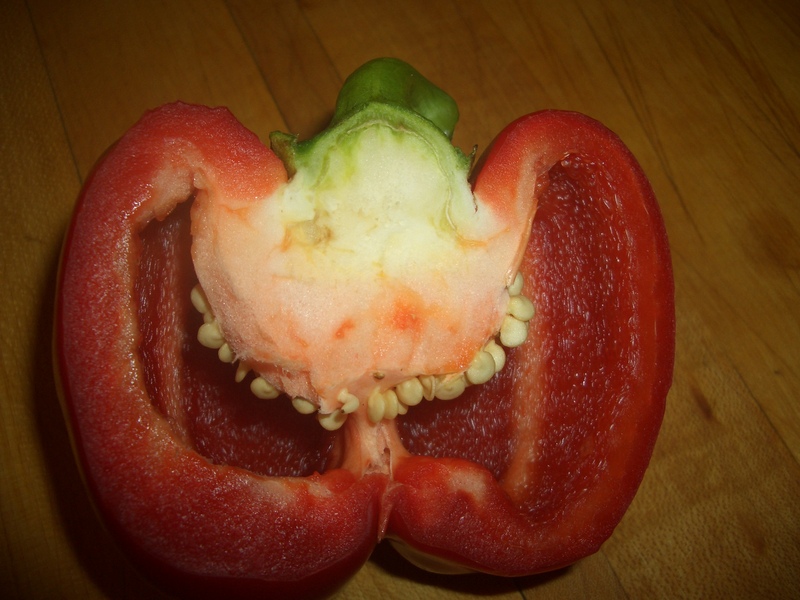 The first and very important step is to select fleshy peppers. Unfortunately these are usually the ones that are the more expensive ones from Holland. You’ll recognize them by the big green stem and they should be heavy when you pick one up. 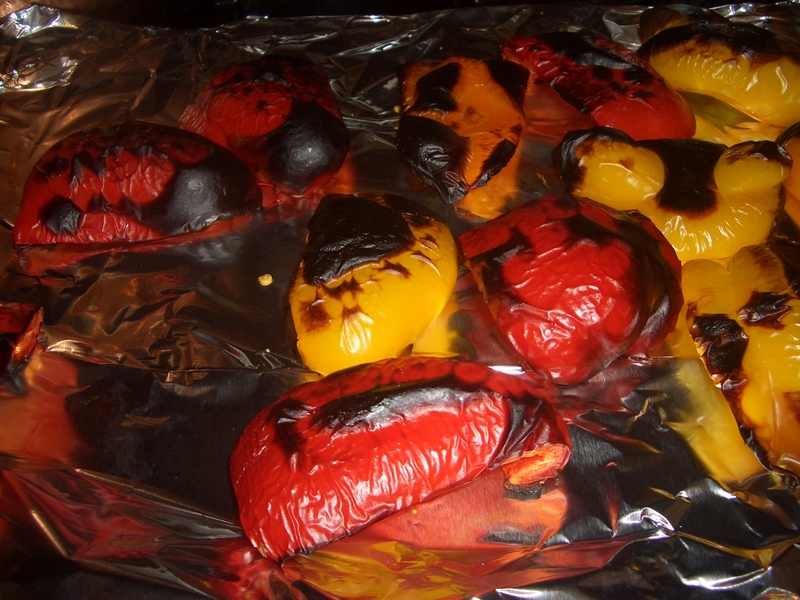 The peppers that are not as fleshy don’t roast particularly well and I just skip it if I can’t find the fleshy ones. Then remove the stem, seeds, and any white pith. 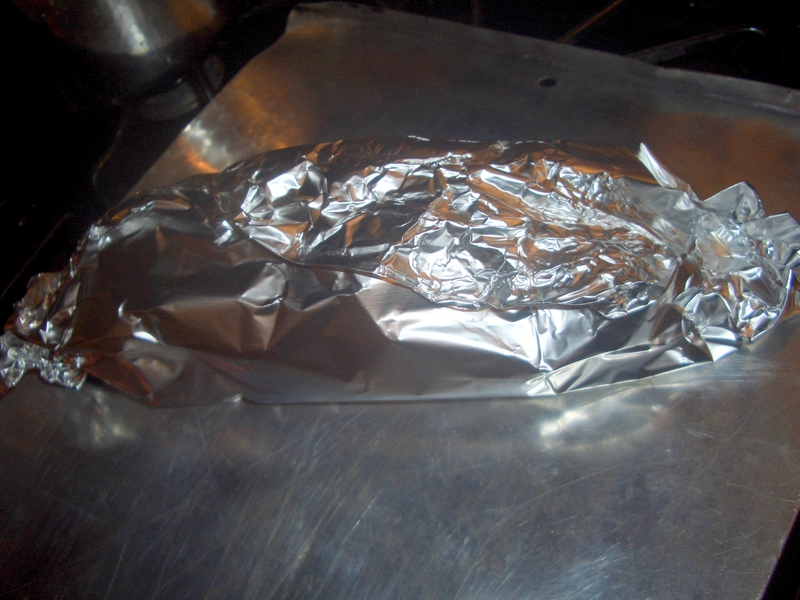 Cut the halves in half to make quarters and place on a baking sheet lined generously with foil. 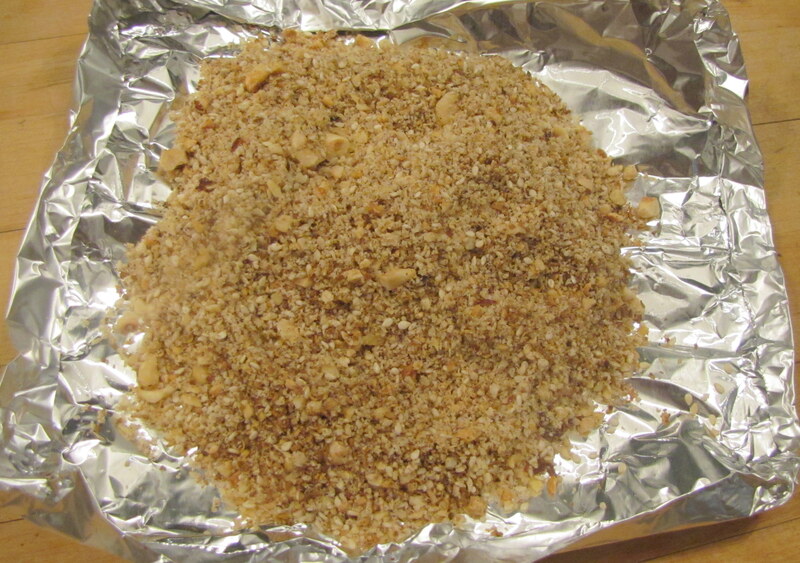 Place under broiler and cook until charred. Turn and cook second side until charred. 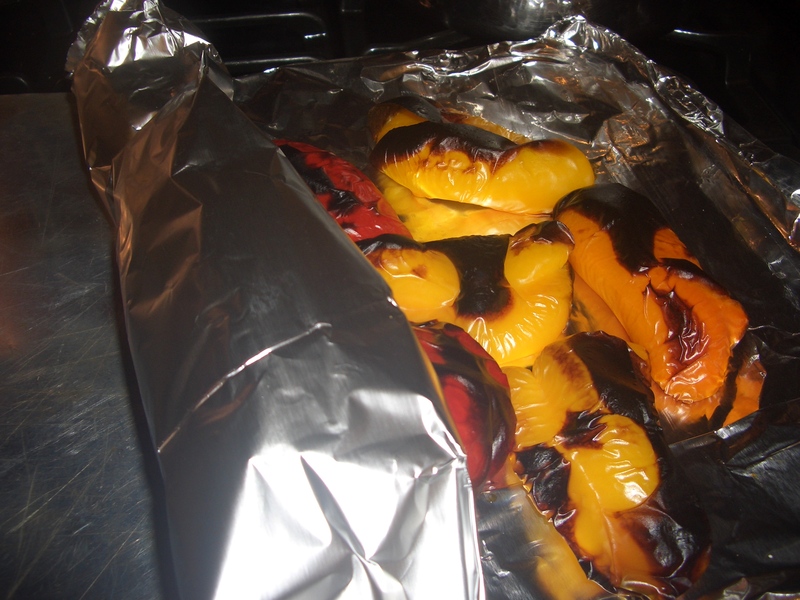 Immediately roll up the cooked pepper in the foil that was lining the pan. 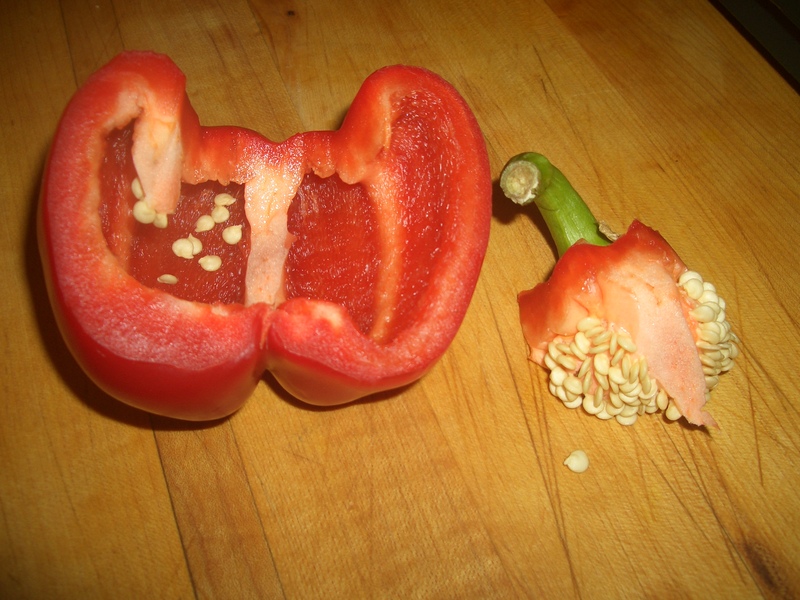 This lets the peppers steam as they cool, making it easy to remove the skins. 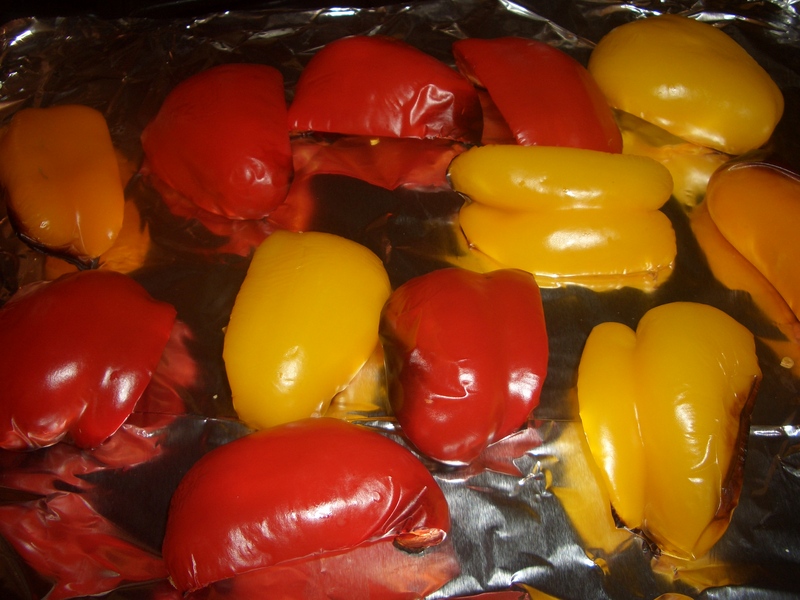 When the peppers have cooled, open the foil packet and peel the papery/blistered skin from the fleshy part of the peppers. 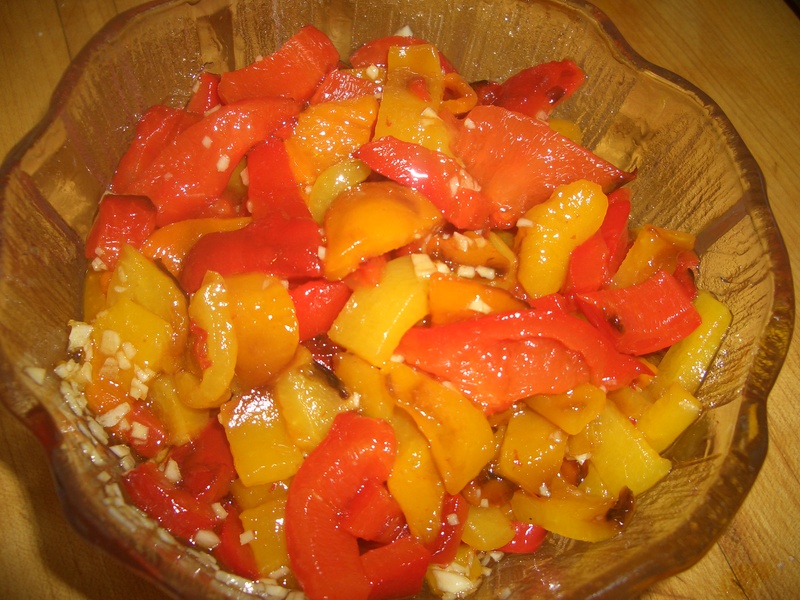 Now you have peppers ready to eat or cook with. My favorite thing to do them them is chop them up; add plenty of garlic, some fresh or dried herbs, and some extra virgin olive oil, a little salt to taste and you are good to go. I’ll confess I’ve been using Lea & Perrins® Worcestershire sauce even though it’s not strictly paleo (because it contains sugar – definitely not paleo and molasses – most probably not paleo). I figure the one drop I use in my Bloody Mary mix or tuna salad will not seriously impact my paleo life. However, when I’m writing recipes for paleo readers; the integrity of the recipe should be maintained using strictest paleo standards. 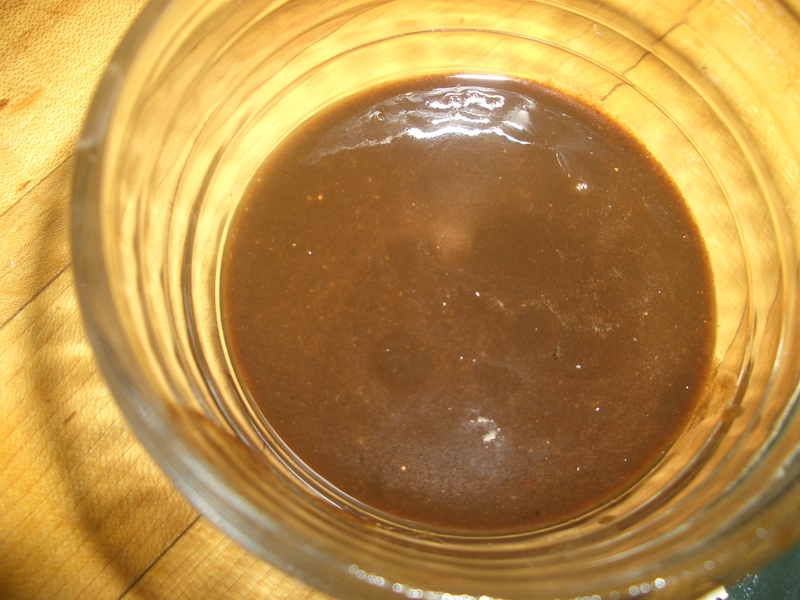 When I decided to make paleo barbecue sauce (coming to this blog on Tuesday), I wanted to use a fairly good amount of Worcestershire and just omitting it would diminish the flavor profile significantly. So, I did what I usually do…I googled “paleo Worcestershire sauce.” Why reinvent the wheel if someone has already done the work? Frankly, none of the recipes (and there are many) fit my definition of Worcestershire sauce. 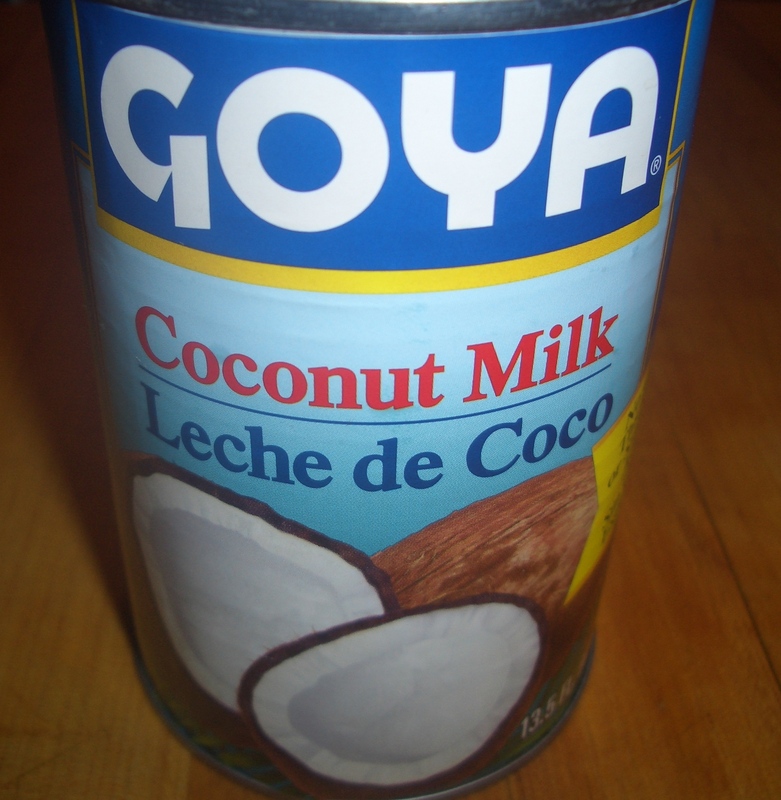 They all seemed to use coconut aminos + spices – and in some cases that’s about all. Others included ingredients like mustard, tomato sauce or paste, orange juice, and sometimes even molasses. Not good enough for me! 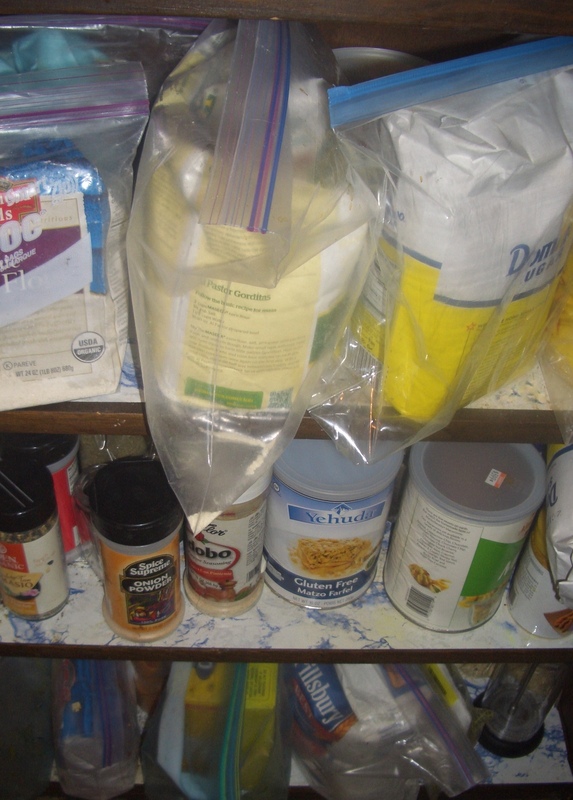 It made sense to me to start with the ingredients on the Worcestershire label: white vinegar, (skip the molasses and sugar), water, salt, onions, anchovies, garlic, cloves, tamarind (a fruit that is very tart, usually found dried in a “cake” or made into a concentrate), chili pepper. 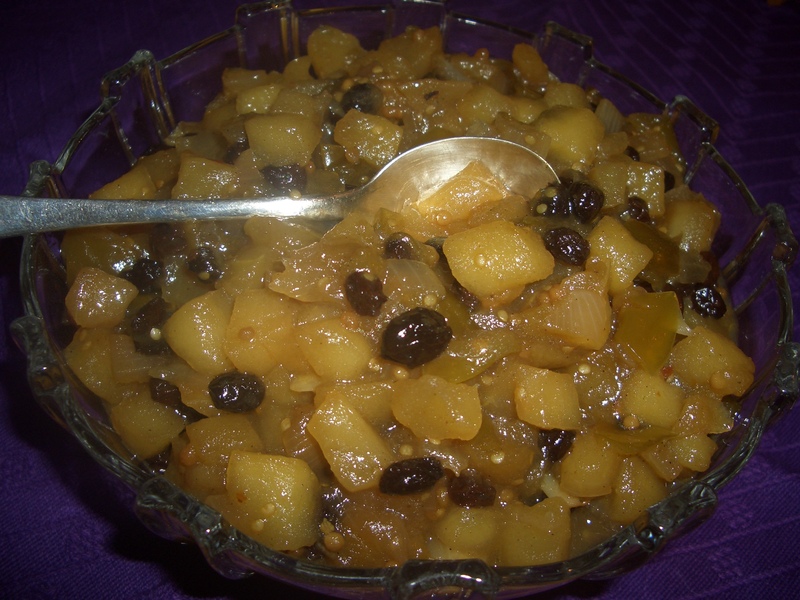 I used some ingredients to add depth to the flavor like the balsamic vinegar and ume plum vinegar and used a little maple syrup to replace the sugar and molasses. 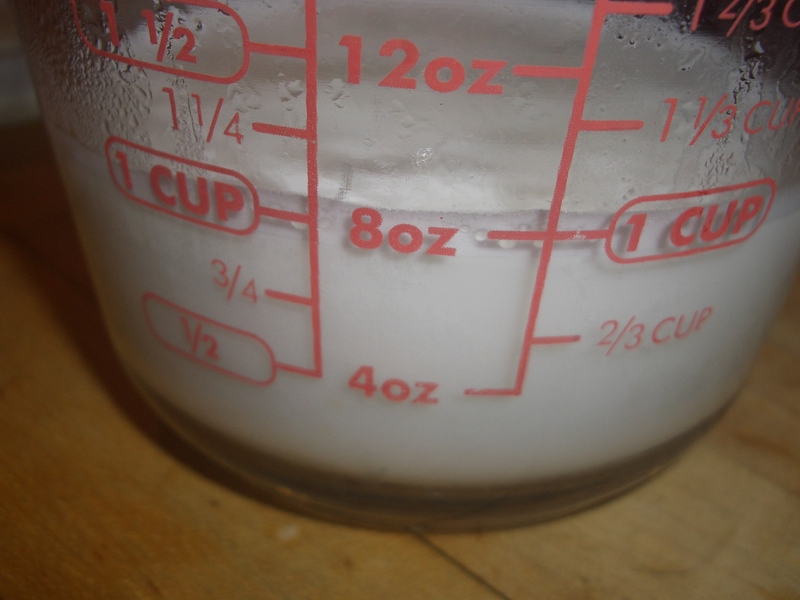 I kept the yield small (1/4 cup) as I think most people probably use even less than 1 teaspoon at a time and I’m not sure about how long it will keep. Since none of the ingredients are particularly perishable and the vinegar and salt are preservatives, I’m suggesting it can keep 2 weeks, but truly – I will be using it longer. Here is the result – and I think it’s pretty terrific. 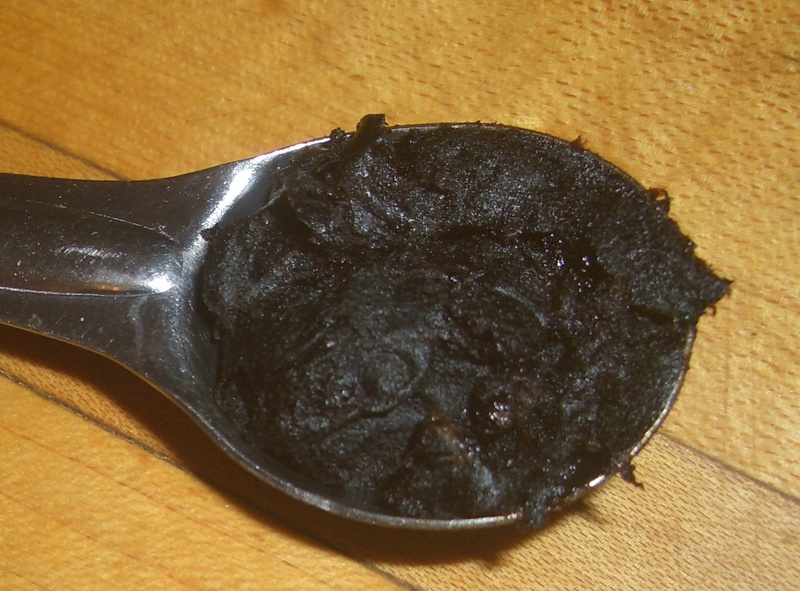 If you don’t have anchovy paste, you can use 1/2 of a canned anchovy. 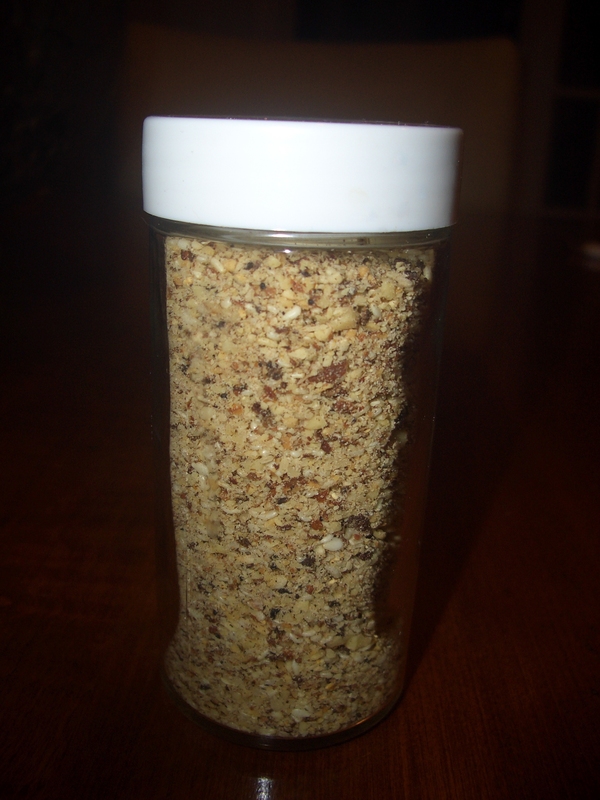 If you are vegetarian or vegan, you can substitute 1/2 of a sun-dried tomato for the anchovy. 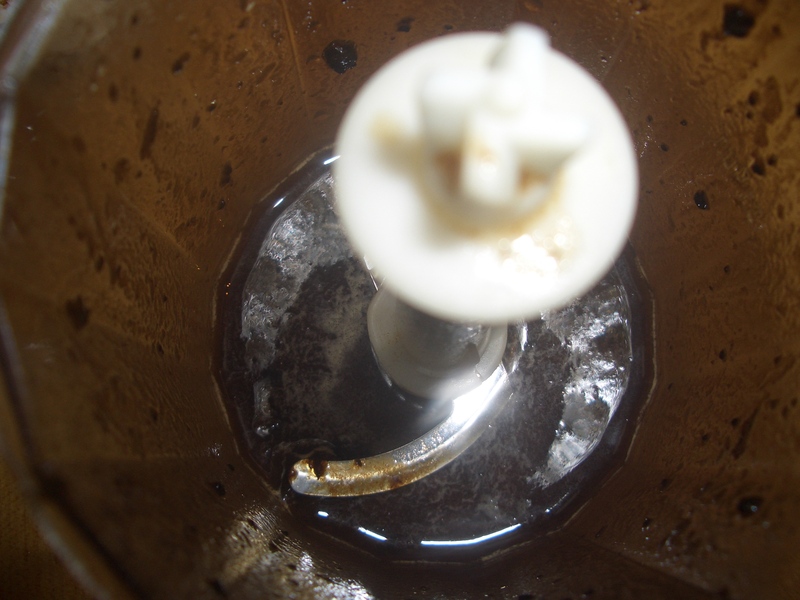 In a mini processor or the mini processor attachment of your immersion blender (you did buy one…right?) 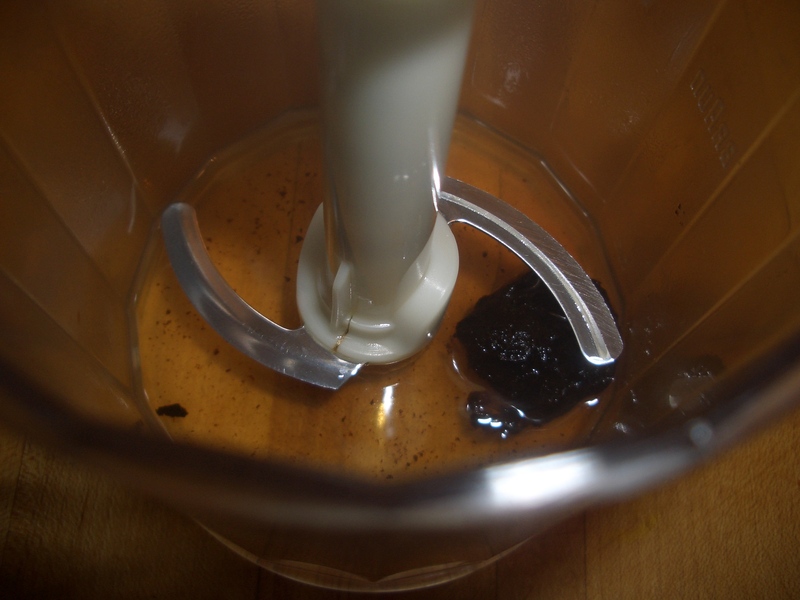 or blender container, combine the boiling water and tamarind. 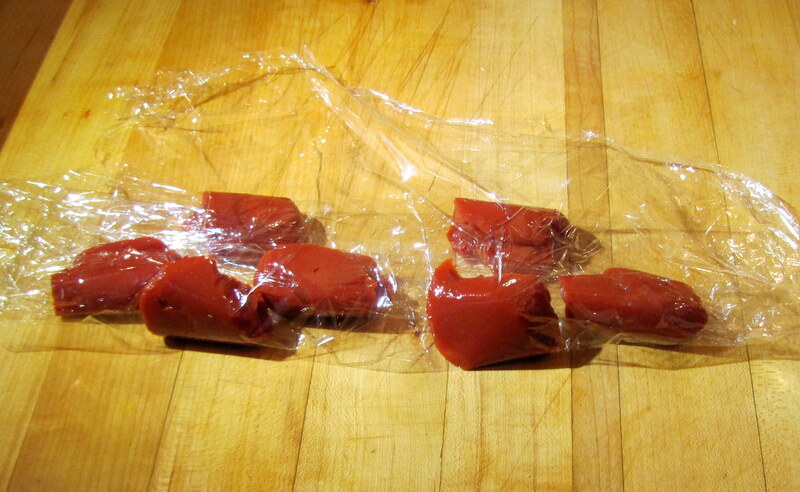 Let stand 2 minutes to soften the tamarind. Process until completely combined. Add the remaining ingredients; process until completely combined. Store in covered container in the refrigerator for two weeks. A trio of WHAT??? That would have been my response to this post just a few months ago. Let’s start with the answer to WHAT???? 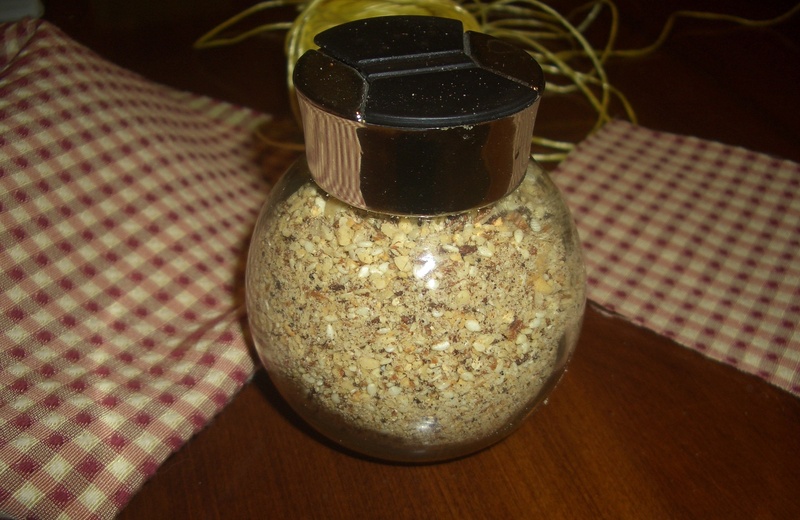 Dukkah is a nut and spice mix that is found in markets all over Egypt. Traditionally it’s served with bread (not our strong point at this blog) and olive oil. 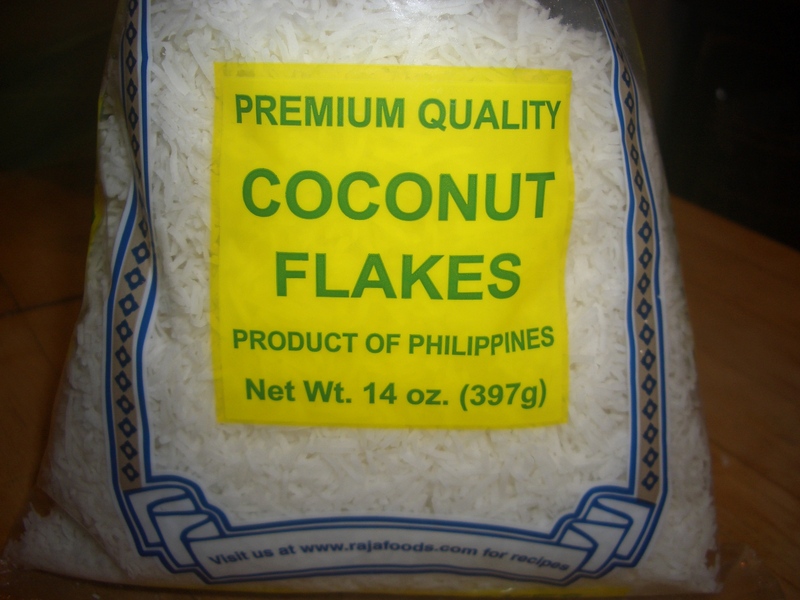 I discovered it at Trader Joe’s. Just after you enter the store they have a tasting station where unsuspecting customers are seduced into buying products that were not on their shopping lists. Most of the time I have to pass up the tasting station because there is cheese or other dairy products in the samples, but on this fateful day they had dukkah (and I was still eating bread at the time). 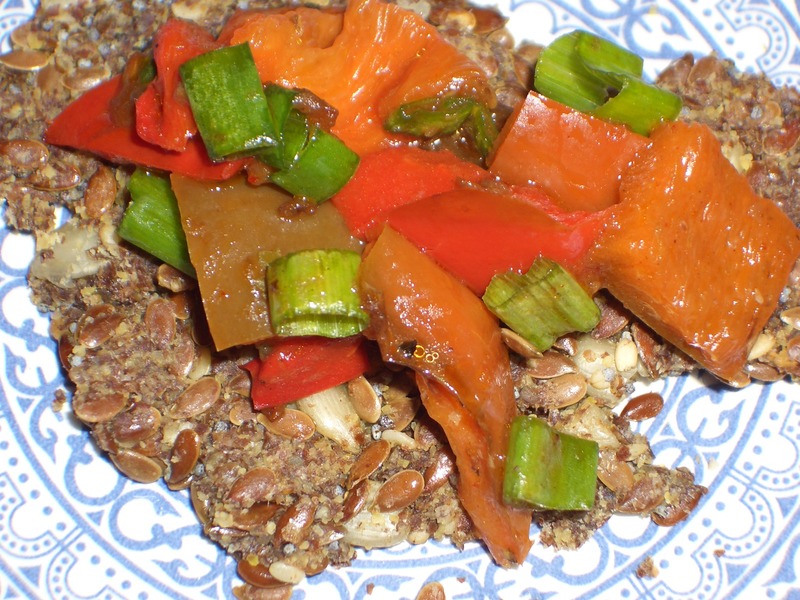 I dipped the bread in the olive oil and then in the dukkah and tasted it. Hmmm….I’m not sure how I feel about it. Theirs was very anise-y and I’m on the fence about licorice flavored things – but, I buy it anyway. 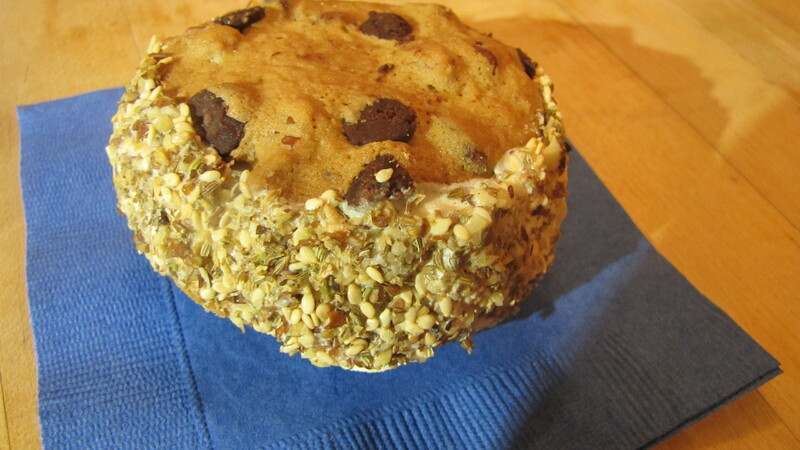 I get home and have an intense need to try it again and BOOM – love at second bite! Suddenly I’m sprinkling it on everything from scrambled eggs, to tuna or potato salad, to smoked salmon, to hummos, to garnishing soups, seasoning chicken, fish, meats and/or kebabs, dipping bananas and Tofutti Cuties (soy ice cream sandwiches) into it. 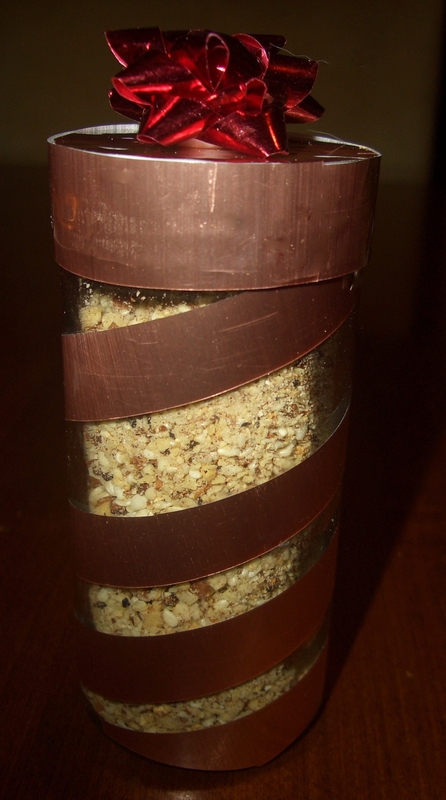 Everything tastes better with dukkah on (or in) it. Now not being someone who leaves well enough alone, I had to learn more about it. I checked out wikipedia (the spelling and pronunciation of dukkah are a whole other post’s worth of stories), and article in The New York Times, and chocolateandzucchini.com. Then I got to work in the kitchen and came up with some excellent (if I must say so myself) recipes. The variations are totally not traditional and none of them have anise. Of course there are many ways to present this as a gift here are just a few ideas. 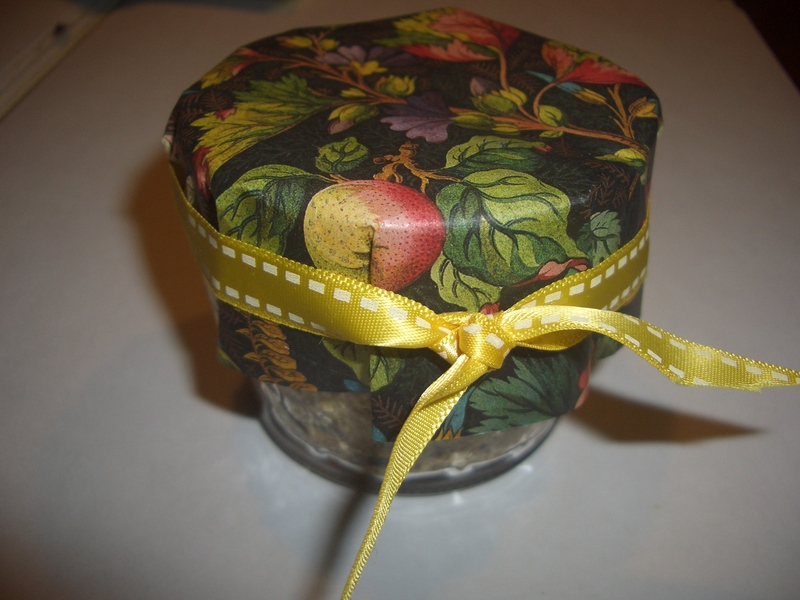 * Buy a really nice spice jar or just a regular ball jar and make a cover for it (not a hard job even if you are not too crafty). This is a good not-too-expensive gift to give when you have lots of people on your list who you can give the same gift to. For me, it’s my soup kitchen team. 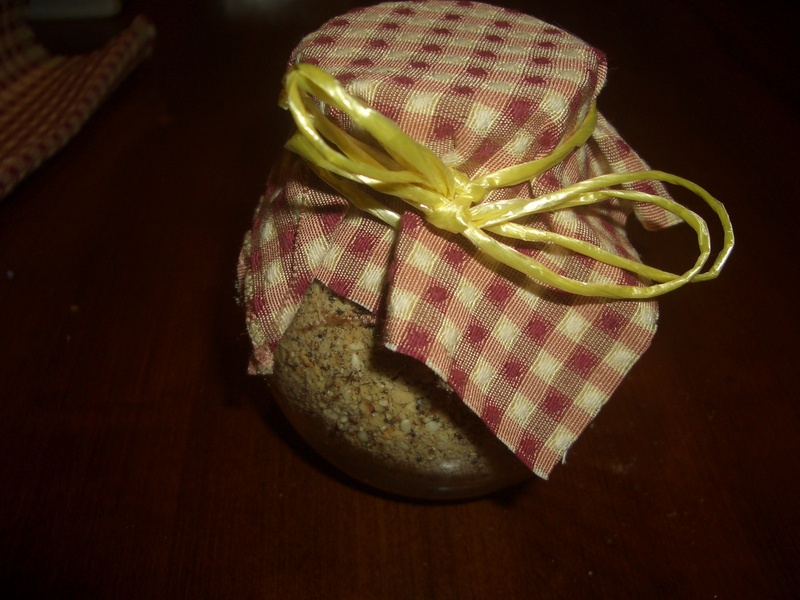 * Make a Dukkah Basket with dukkah you’ve prepared and a bottle of really nice olive oil or balsamic vinegar and fresh bread if you are giving the gift the same day as you pack it. Summer is winding down. 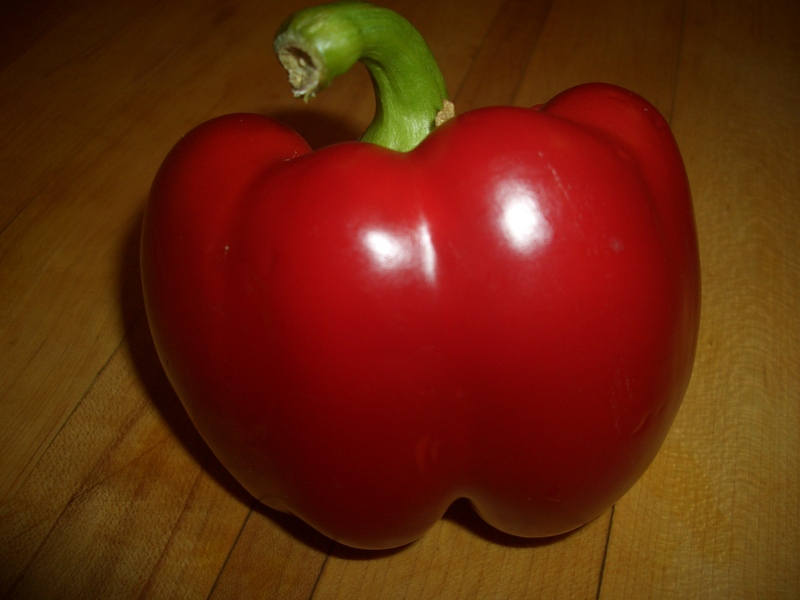 All those wonderful tomatoes I have been cooking with are disappearing from my CSA pickup. The only tomatoes that arrived this week was a pint of yellow cherry tomatoes. But, sad as the end of tomato season is, other goodies are beginning to appear. This week we has beets, and squash, and cauliflower. I love beets. 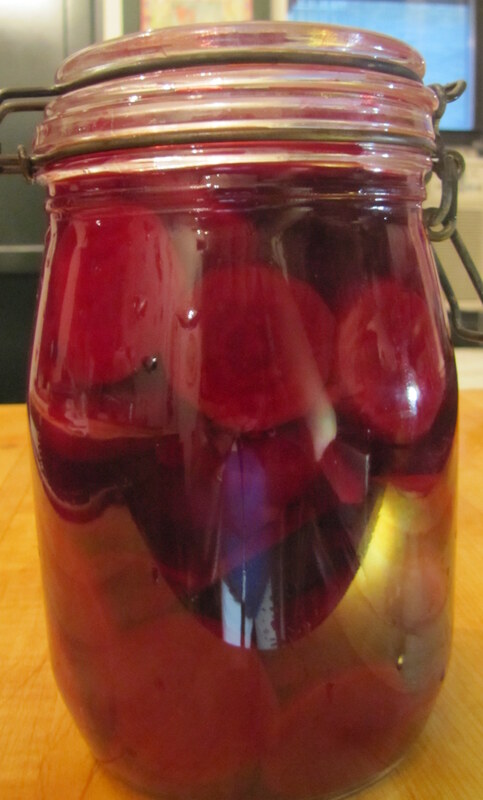 Generally I just roast them, but this week I decided to venture further than usual and make pickled beets. I’m kind of forced into this decision as my favorite brand of store bought pickled beets “greenwood” seems to have disappeared from the supermarket shelves and in it’s place is “nelly’s” which has way too much clove for my taste. Although I do like pickled beets as a side dish by themselves, mostly I use them to make beet horseradish to serve with my (store bought) gefilte fish. All you have to do is put some drained pickled beets into a food processor and puree them until somewhere between finely chopped and pureed. Then just stir in prepared horseradish (I use Gold’s white horseradish) to taste. I served the horseradish with A & B salmon gefilte fish (it’s gluten free) that I buy frozen in a log, then boil according to package directions. It was a real hit at my break-fast. OMG that sounds like an awful combination!! 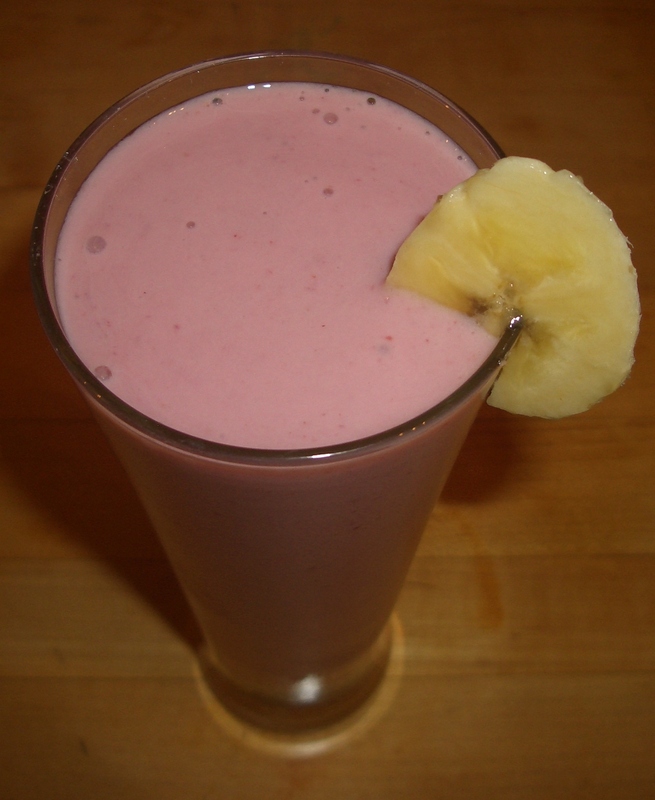 What on earth can you do with tomato paste and banana? Good question. 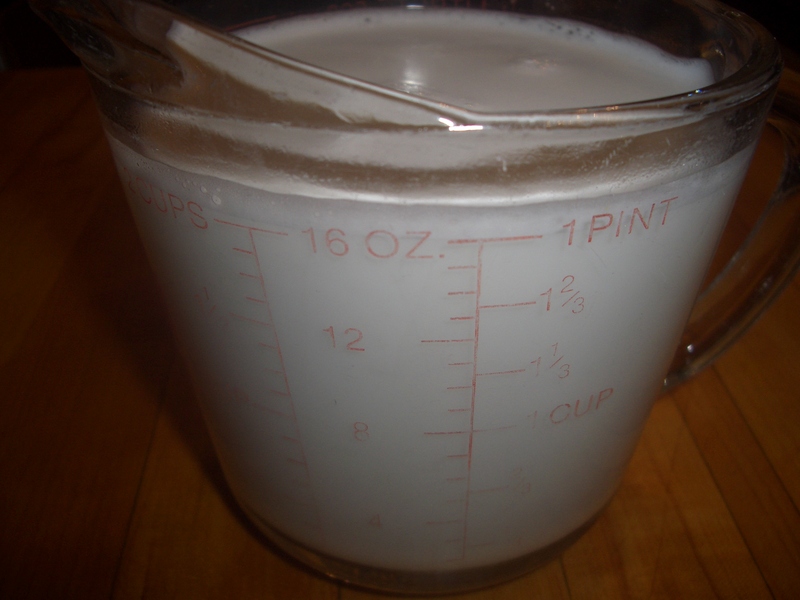 If you have a recipe that uses them together, please be sure to forward it to me. 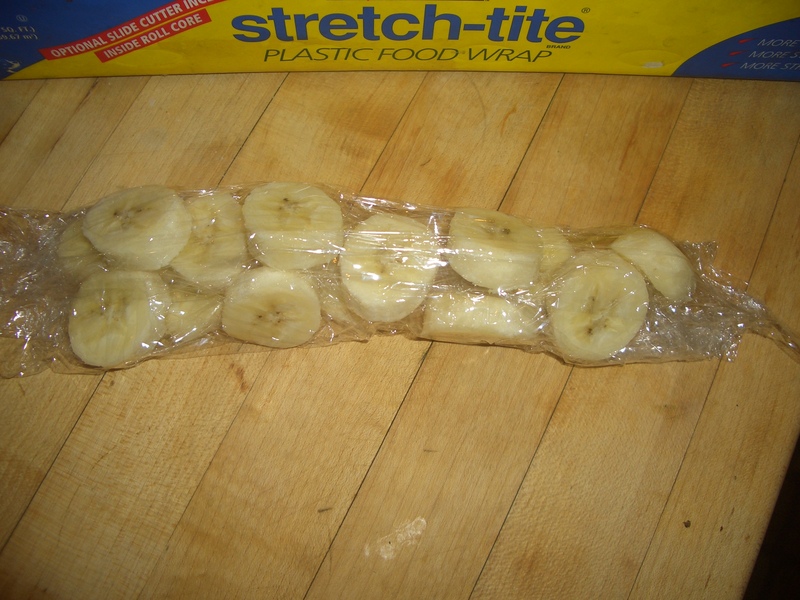 But since this is Friday, and Friday is our day for This and That – the topic is: What do you do with over-ripe bananas and open cans of tomato paste beside discard them? The answer to both is: freeze them. 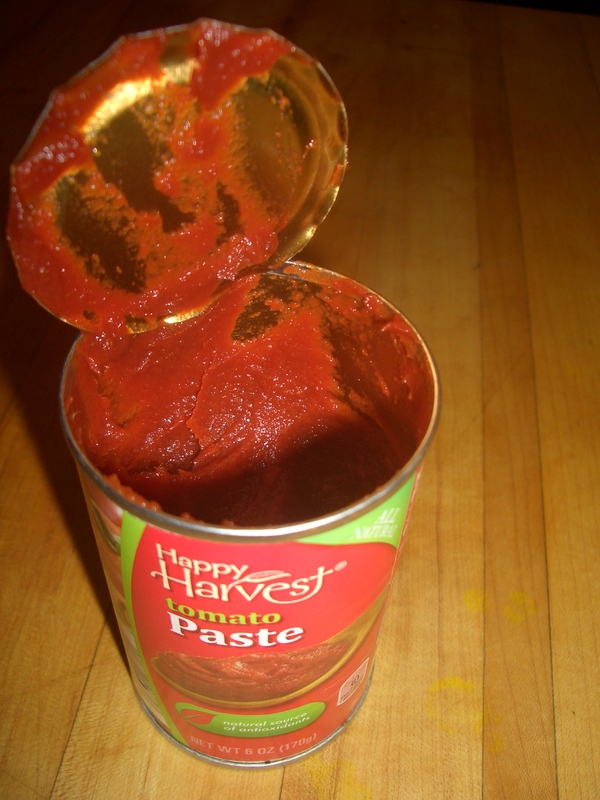 Freeze the tomato paste in 1 tablespoon portions and then you have them on hand for any recipe that calls for less than the full can. You can toss them into soup or sauce that needs a little flavor or color boost or any recipe that calls for tomato paste. 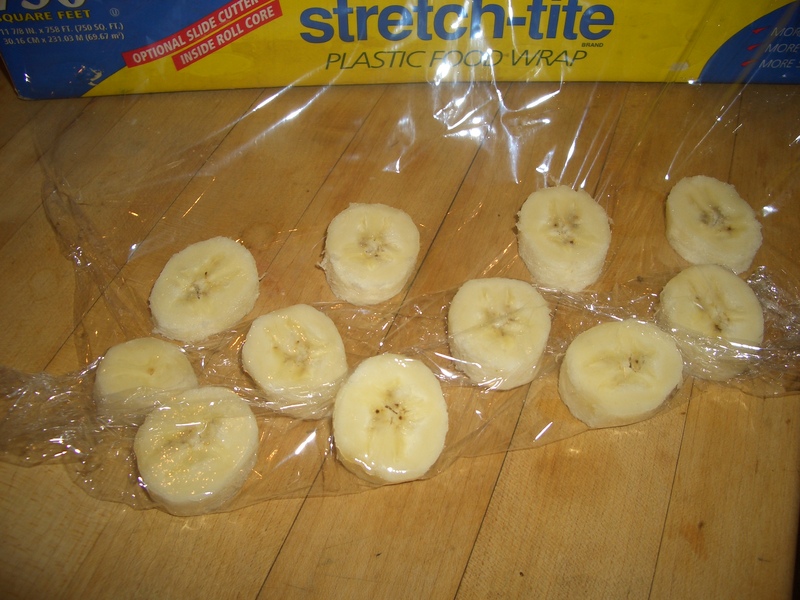 Place a large piece of plastic wrap on a flat surface. 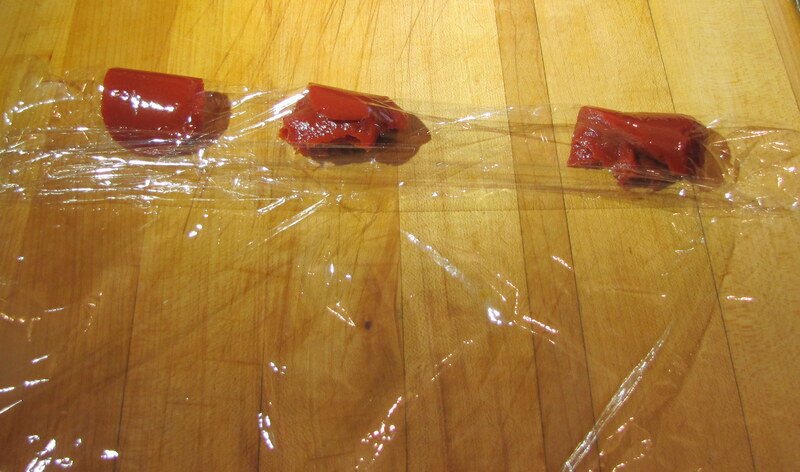 Measure the tomato paste in a tablespoon and place the contents of the tablespoon onto the plastic wrap. Do the same with 2 more tablespoonsful. 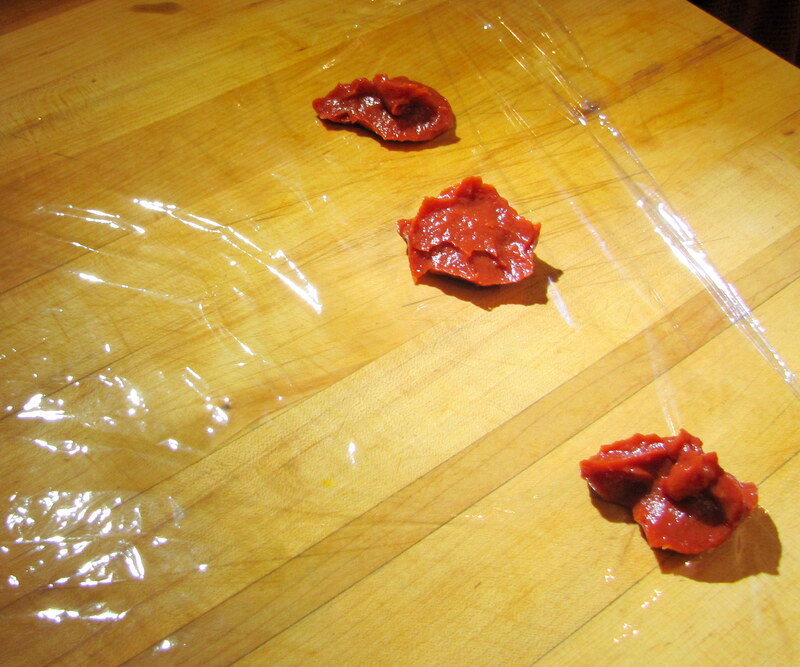 Fold the wrap over the tomato paste and place one tablespoon of tomato paste in the gaps between the three you have folded in the plastic wrap. 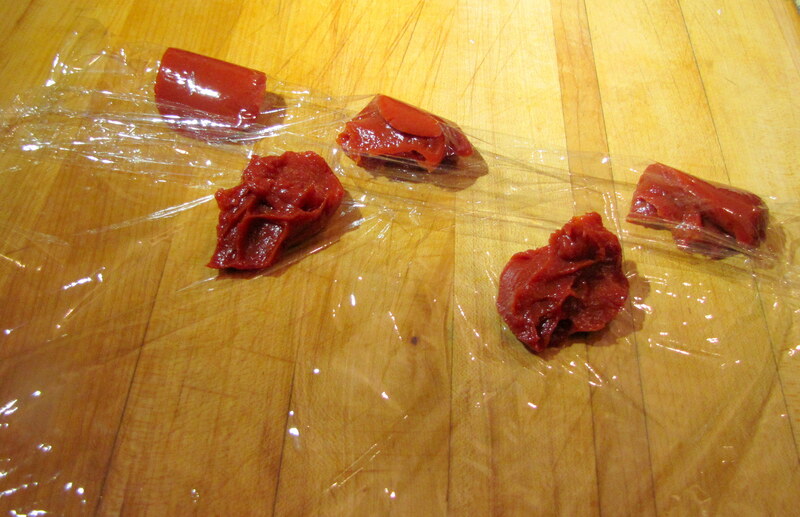 Continue until you have used all of your leftover tomato paste. 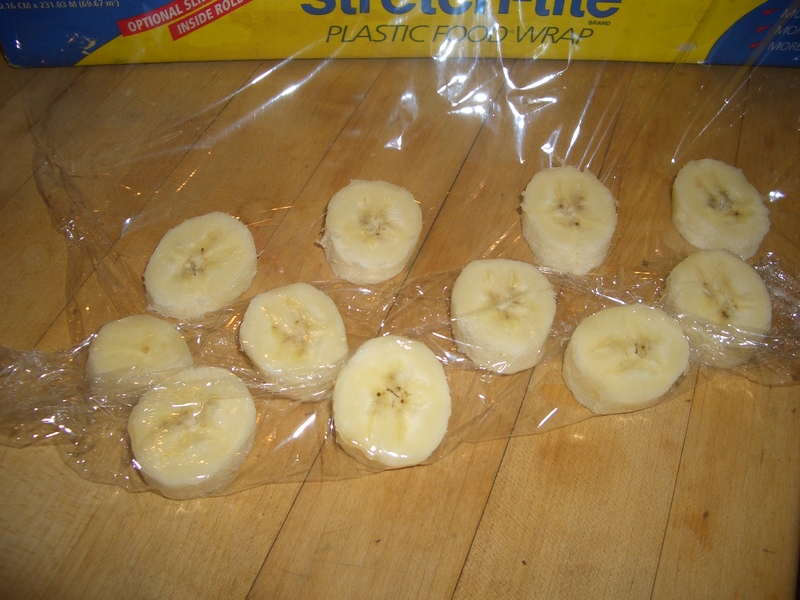 Frozen Banana Coins are like nature’s ice cream. Whenever you’re feeling a yen for something sweet just pop one in your mouth. 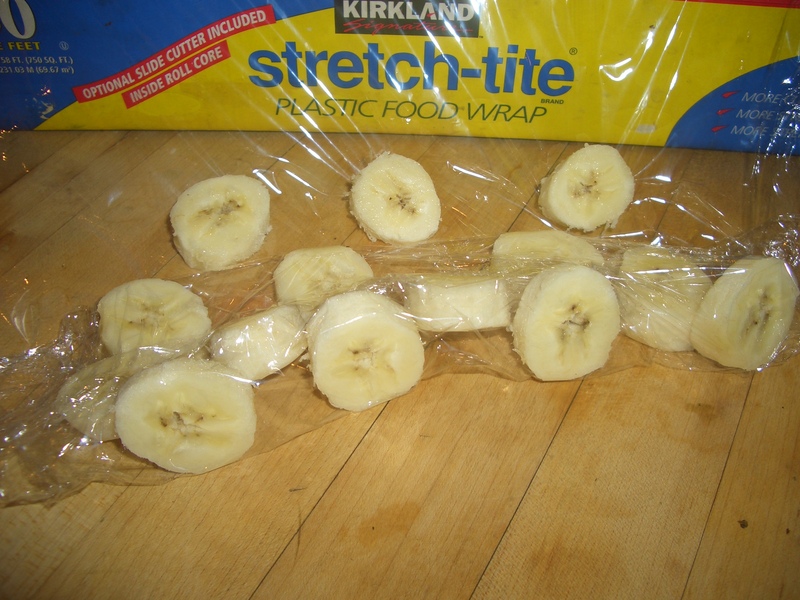 They’re also great for smoothies. 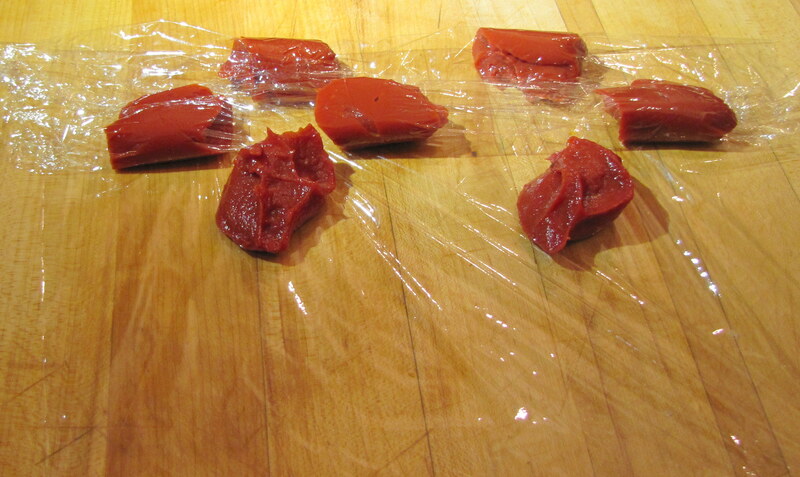 Prepare them the same way as the tomato paste. 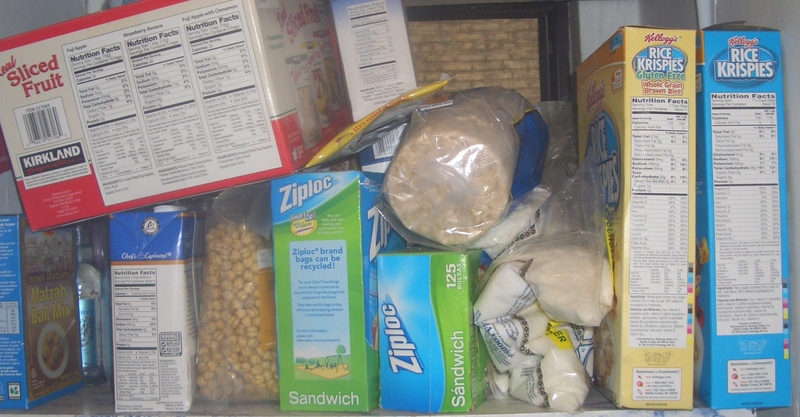 I worry sometimes that I might be a food hoarder. I buy replacements for things when they are less than half empty and I must have a complete supply of ingredients on hand at all times. 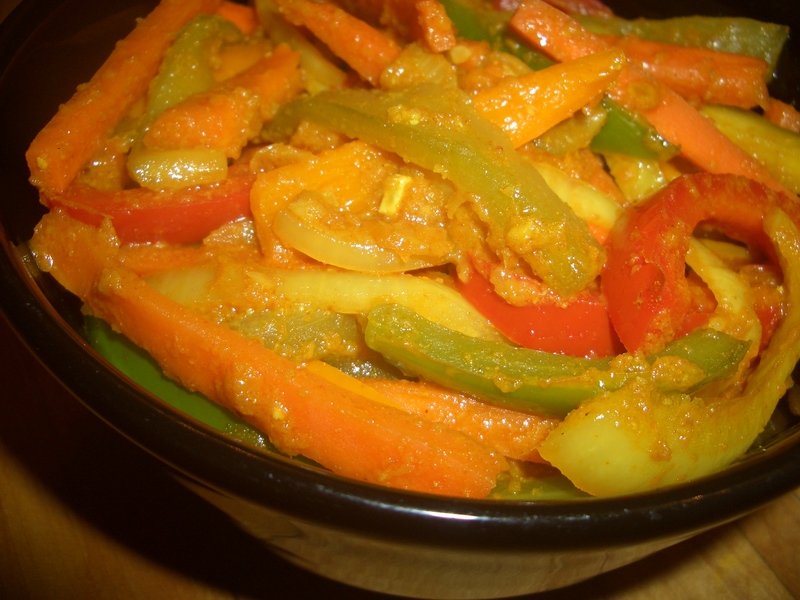 So it shouldn’t come as a surprise when I tell you I just threw this together with stuff I had in the refrigerator. Now I sometimes justify my immense pantry and overstocked refrigerator with the fact that I am, and have been for the last 30 or so years, a food writer. There’s nothing more annoying than tasting a recipe you’ve just written and finding that it needs “just a little something” to make it perfect; figuring out that “the little something” should be pomegranate molasses or fresh rosemary (or ketchup or vinegar or garlic powder or fresh lemon juice, etc. ), and then finding the bottle empty or the herb very sadly wilted. 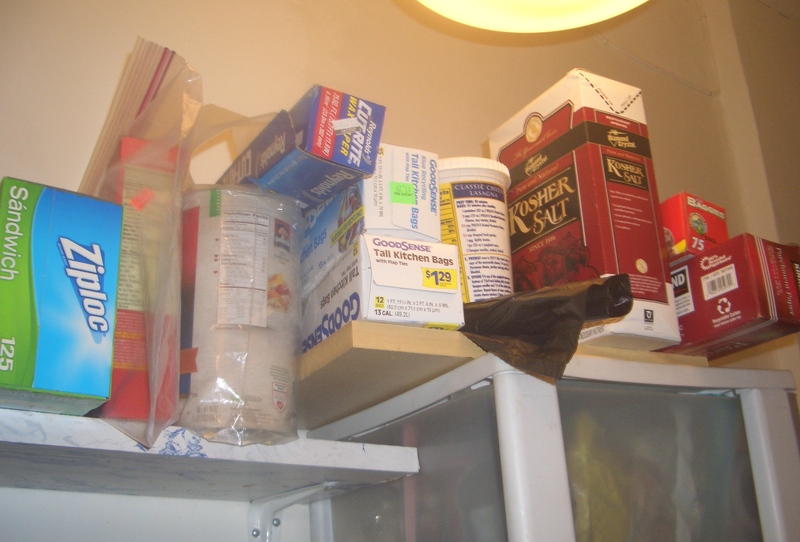 So I keep everything imaginable in my refrigerator and pantries (notice there is/are? 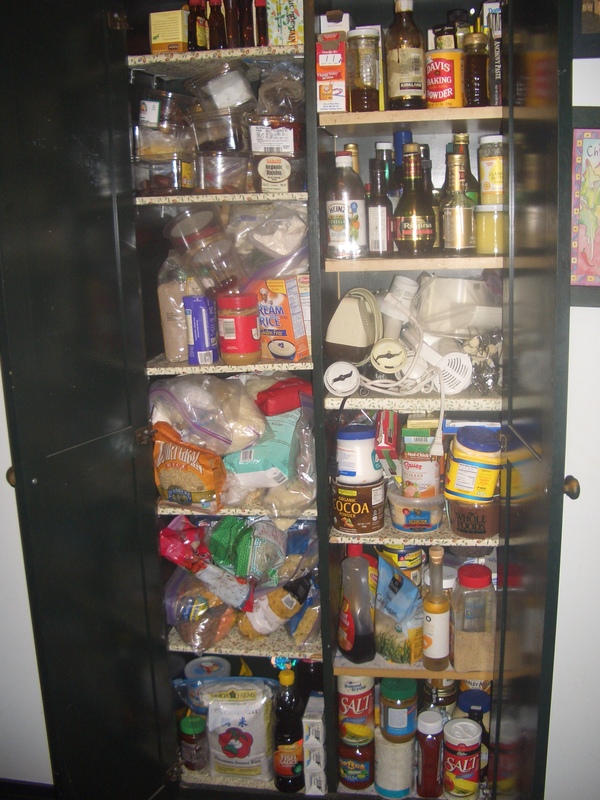 more than one not-to-neat, over stocked pantry in my New York City apartment – where space is at a premium). 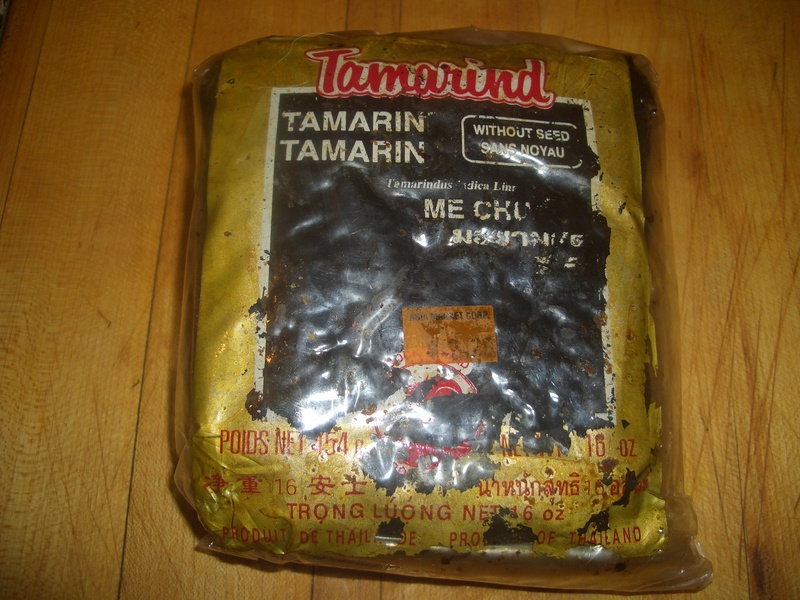 Tapenade is one of those items I like to have on hand. 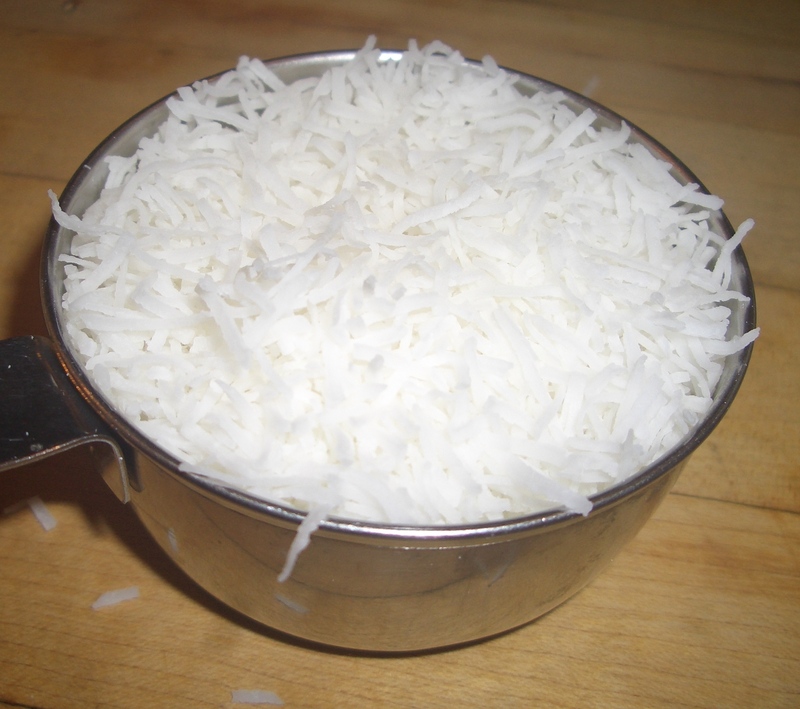 It’s fairly salty and slightly acidic so it’s a good perker-upper for dishes that may seem a little bland. 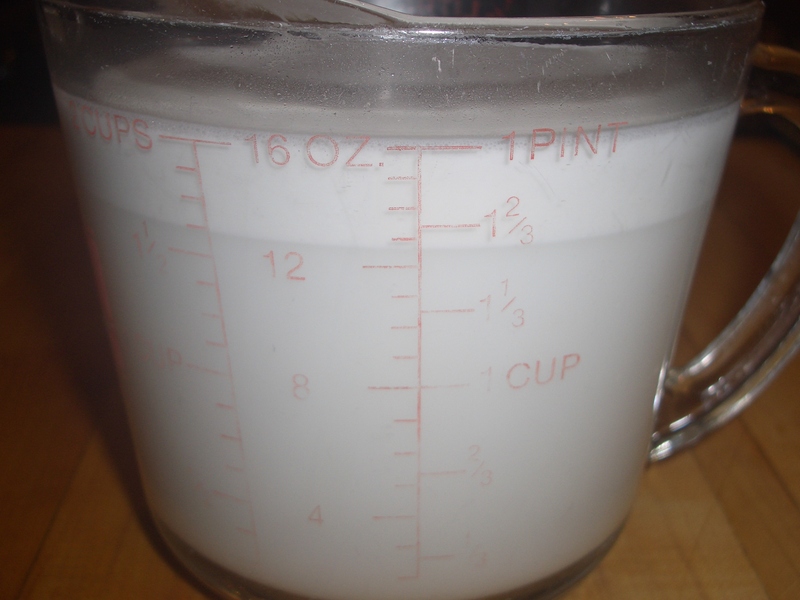 Here’s a sampling of things I might do with it: Add some to plain spaghetti sauce to make instant Putenesca sauce, stir it into cream cheese or tofutti to make a very zippy cream cheese and olive sandwich (that was when I was eating dairy and wheat), stir it into mayonnaise (or yogurt or some combination of the two) for a dipping sauce for crudities or shrimp or artichokes (microwaved, of course) or for a salad dressing; combine it with diced tomatoes or roasted red peppers as a topping for bruschetta or sauce for fish or chicken; add to vinaigrette to add zip or to use as a marinade; toss a little into scrambled eggs or the filling for omelets; stir some into tuna or egg salad; you get the point. It’s nice to have something versatile in the fridge when you just need a little something. 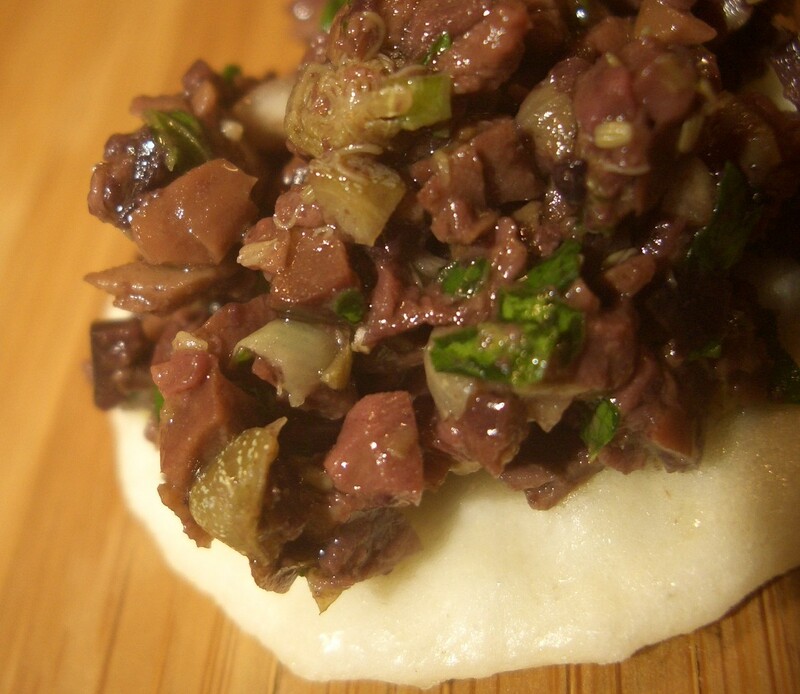 Oh, and of course I’ve forgotten the most common use for tapenade which is to serve it as an hors d’ouvre with bread (if you eat it) or (gluten free) crackers.